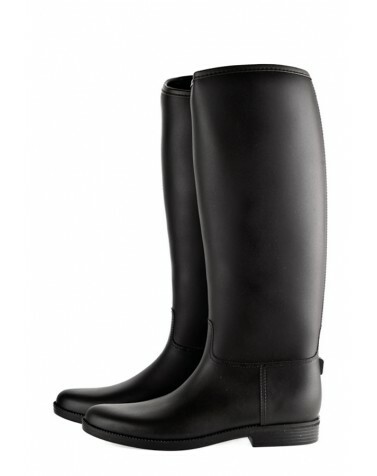 Ride&Black boots are available in sizes: 36,37,38,39,40,41. A comfortable boot tree with spatial protector guarantees your comfort and keeping your footing on all types of surfaces. The soft material of boot tops allows to wear the boots in combination with trousers and jeans. Attention! Please, choose the boots ONE SIZE BIGGER because of INSULATION. Jockey classic boots.Height of boots 43cm. Height of heels 2,5 cm. Width of a boot top 32-35cm (depending on the size). Height of boots 43 cm. Height of heels 2,5 cm. Ride&Black boots are available in sizes: 36,37,38,39,40,41. A comfortable boot tree with spatial protector guarantees your comfort and keeping your footing on all types of surfaces. The soft material of boot tops allows to wear the boots in combination with trousers and jeans. Attention! Please, choose the boots ONE SIZE BIGGER because of INSULATION. Jockey classic boots.Height of boots 43cm. Height of heels 2,5 cm. Width of a boot top 32-35cm (depending on the size).